In the new Star Wars trilogy, the First Order is basically the Empire Part II, complete with a number of ships and vehicles of war that are direct callbacks to what their predecessors had 80 years prior. You’d think they’d hire some new architects. Today brings news of two very cool, very scary-looking First Order vehicles from the upcoming The Last Jedi: the sinister AT-M6, and the equally-sinister Dreadnought. The scoop comes from the Star Wars Show, who were kind enough to give us the run-down on the AT-M6 and the First Order Dreadnought. You can watch it below (the vehicles are revealed in the first 2 minutes of the video), or you can scroll down a bit for our summary. First up, we have the AT-M6 walker, which stands for All-Terrain Megacaliber 6, on account of its Megacaliber 6 cannon it has mounted on its back. 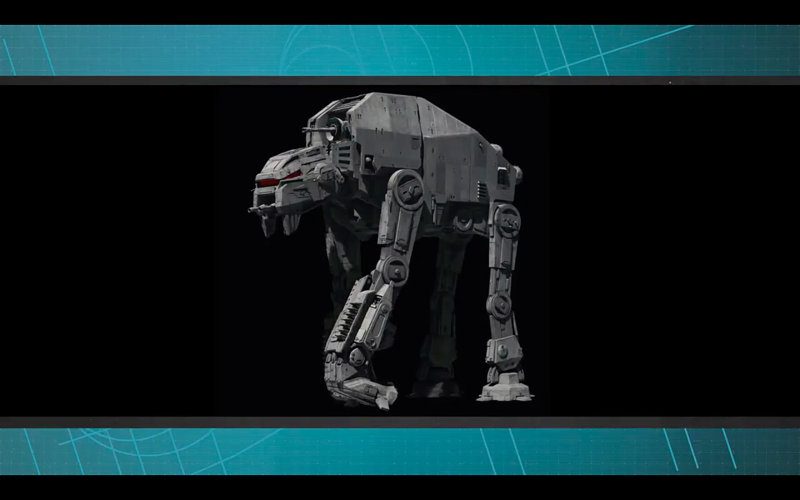 Whereas the standard AT-ATs from the original series looked like elephants, these new ones look like evil elephants. The show states that instead of moving across the battlefield like an elderly dinosaur, these new guys will have a “more simian-like gait” to stabilize the cannon. 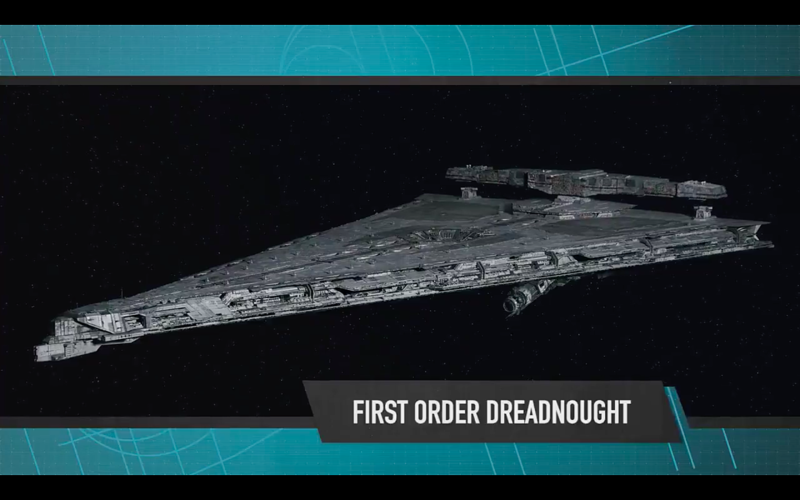 Next, is the First Order Dreadnought, which is basically an Imperial Star Destroyer, but bigger and flatter and with more stuff on it. There are two orbital auto cannons mounted on the underside, and 24 defense anti-aircraft cannons on the top, so you really don’t want to mess with this. These ships are 25,162.8 feet long, which basically translates to Really, Ridiculously Huge. So there you have it. The First Order has some new toys. Let’s hope the Resistance does too. Elsewhere on the web, a friendly YouTuber has posted a video of the new porg toy, which is basically a Furby blessed with the powers of pure good rather than evil. It waves its little wing-arms and makes bird noises. I love it. Give me 20. As YouTuber The Incredible Hulkbird states in the description, these aren’t yet available for sale, but probably will be on Force Friday, which is coming this September 1. Prepare your wallets.